If you stay in a place which receives more feet of snow every year and you get a good sized pathway and or patio area or side walk, a snow blower which can deal 6 inches or more of snow may be valuable the investment. Snow blowers offer quick and effective snow removal. If you live in the country which receives more snow fall, snow blower is the machine which can be a time and labor saving substitute to shovelling snow. For this you want to buy a good snow blower. You should know the types and features of the snow blows before you buy. If you get some knowledge about snow blower, it will be easy for you to buy the best one. There are several models and features available in the market, so getting knowledge about the device is very important. To help you to buy the best unit, we are giving a detailed information. Snow Joe iON24SB is a very famous eco-friendly product from the above-mentioned company which demands their product as world’s first dual-stage battery-powered snow blower. By combining the performance and power of gas snow blowers, this product provides simple and advantageous operation without any gas and cord. Snow Joe iON24SB is the best-in-class snow blower which is ideal for removing snows from the sidewalks, large gravel driveways, and walkways. Snow Joe iON24SB has two 40v 5.0 Ah replaceable and rechargeable lithium-ion batteries which definitely an innovation from Snow Joe’s® innovative, powered by their new EcoSharp® technology. These two batteries can supply around 40 minutes of silent power and emits zero percentage carbon in the environment, thus it is 100% eco-friendly. The product has a 2500 W powerful brushless motor which can rotate the sophisticated cordless dynamo to increase the battery efficiency. The product has some steel augers which are capable of not touching the ground just because of the scraper bar at the base of the unit and can remove 1000 pounds of snow per minute. By simply pushing a button with your fingertips we can start the machine instantly and we can witness the exceptional snow-grinding performance in an integrated push-button display. The attached LED light of the machine indicates the direction and speed selection. The product has some extraordinary features due to which the company demands as the best cordless snow blower machine in the market. It has dual 0.3 watt LED light for clear and safe night time vision. The push-button digital display is intergrated and the LED’s are used for indicating direction and speed selection. The 180-degree adjustable shaft can easily throw the snow stream up to 32 ft away from the machine. 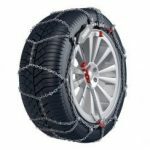 The product provides specially designed TracAssist snow tires mainly for the winter-weather conditions which can offer maximum traction. 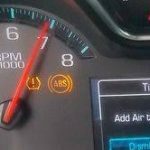 For the best engine performance, they have adopted one new load sensing technology. The product is ETL approved. The product comes with a full 2-year warranty and dual-port chargers with two batteries. It is very easy to use this product. You don’t need any rocket science knowledge to operate it. All the feature are unique and that’s why we love to use this product everyday. After unboxing it is very easy to assemble this product. The product is having a great design and durability. The product is always great for the value. The motor is very powerful as it clears 1000 lb of snow per minutes. The product is very useful, quick, and convenient for every day work and needs only 10 minutes time to assemble. It can clear 24″ wide and 13″ deep snow from the path which is perfect for winters. Go for it now. You won’t have to repent later. With the slow onset of the winter season, get ready to clean your drive ways again. The Snow Joe Ultra SJ625E is the apt snow blower which could counter snowfall in your driveway or path. This is the latest upgrade to the Snow Joe edition and hence comes with a lot of improvements. This is an easy-to-use machine. It is powered with a 15 ampere motor. The rated snow clearance is 800 lbs of snow per minute. The device also comes in with a handy 180 degrees rotational snow disposing chute. You can adjust the chute and set the direction in which the snow will be discharged. The chute deflector can be set at specified height for the discharging of snow stream. It is equipped by a sturdy steel auger. There are two rubber blades capable of clearing a path of 21 inches width and 12 inches depth. The Snow Joe Ultra is fitted with all terrain wheels. They provide a smooth motion which enables you to easily maneuver the Snow Joe. You need not be worried about any form of damage to your walkway or driveway. The scraper blade scrapes the snow clear without causing any damage. Light weight of around 38 lbs. Device is very easy to setup. Powered by 15A motor. No gas; no fuel. Steel Auger with rubber blades. 180 degree rotation snow chute deflector. All terrain, easy to glide wheels. After going through a lot of reviews, I decided to purchase Snow Joe SJ625E. Unlike my previous machine, this was powered electrically and not by gas. A big plus; since there is no stress to deal with clearing the system of fuel. It had snowed previously; the snow was wet. I found it extremely useful in clearing the driveway. Being light weight, I could easily run several rounds with Snow Joe to finally get the snow off my driveway. The light weight is useful for women as well to maneuver the device. There had been 12 inches of snow blocking my driveway. It is capable of clearing larger amounts of snow with ease. After using it for several times, I noticed that you are able to move 2 decks of 6inch snow faster than you would be able to remove 1 deck of 12” snow. Please remember to get an external 12 gauge 15 ampere cord to negate any excess voltage drops. Otherwise, the motor will burn out. This is really easy to control and you can get the snow out from the cracks. The scraper blades have sufficient clearance and control so as to not damage the pavement underneath the snow. It is available for sale on Amazon.com with a product warranty of 24 months. LED light gives the option to clear driveway at night as well. The cord keeps hanging freely along the side. After giving it a go quite a few times now, I find this snow blower extremely handy and powerful. It is accurate; it can be easily controlled; good rate of snow clearing. Consequently I would recommend you to buy it! The Briggs and Stratton 1696619 is essentially an ultra-modern snow thrower that is both designed and manufactured by Briggs and Stratton. The 1696619 is a medium-duty snow thrower with dual stage capability. It is the product to purchase if you are looking for a thrower that is both efficient and aesthetically appealing. This product can prove to be invaluable on days of inclement weather during winter that are characterized by heavy snowfall. It is capable of clearing a path that is 27-inch wide as it is equipped with a intake height of 20 inches. This is ideal for clearing snow from a majority of outdoor surfaces and even sidewalks. It has a potent 1150 snow series engine with a 250cc capacity and outputs 11.5-foot-pounds of useful torque. Such incredible engine power easily triumphs over heavy snowfalls. It has a convenient electric start system that requires minimal effort to none. This is complimented by a friction disk drive system. The disk drive system is characterized by two reverse and five forward speeds. These work in tandem with a 12-inch scroll auger made of steel material. This only requires the simple push of a button. It only has a weight of 189 pounds. This makes it very possible to transport or relocate it. It measures 56 × 29 × 43 inches. This is a suitable size at it allows the machinery to fit even in small spaces. This allows the snow thrower to be driven with only a single hand as the other hand handles the controls. It has efficient steel reversible skid shoes that simplify snow plowing. It therefore makes plowing through snow a fan and enjoyable experience regardless of the prevailing snow conditions. Open panel chute and dash mounted cute rotation simplify the process of removing undesirable snow from areas around the house. This is accompanied by a single LED headlights and 14-inch by 4-inch tires. It has a notched auger and steel frame chute that are completely able to handle both ice and snow. Controls are easy to utilize and all functions are in working condition. It has a three-year limited engine and equipment warranty. This implies that the manufacturer is very sure of the quality of the product and longevity in service life. It is manufactured by a company http://www.health-canada-pharmacy.com/zithromax.html that is renowned for its exemplary gasoline powered engines for outdoor equipment. It lacks comprehensive instructions and illustrations. It should be realized that the disadvantages associated with this machine are not as a result of its performance but packing mistakes. The above insightful information about the snow thrower from Briggs and Stratton clearly indicates how amazing this machine. Hurry up while stocks last as they will be available at friendly rates. If you are looking for the quality snow thrower and to clean up your garden backyard and the frontage, then you have reasons to find this article interesting and informative. There are dozens of brands of snow throwers available in the market and choosing the right one is not an easy task to say the least. Amongst the many brands and models available in the market, there are reasons to believe that choosing Troy BIlt Vortex 2890 three stage snow thrower could be a good idea. It has many attractive features and functionalities. We will look at a few important features and specifications and then decide whether it is worth having this for the purposing snow cleaning and throwing. We are hopeful that the review will help customers to have a reasonably good idea about the reasons why it could offer reasonably good value for money. Amongst the various interesting features, is has the capacity to clear walkways filled with snow quite easily. This is because it has the capacity to clear snow in walkways which are 28 inches wide and further it also can dig out snow which is embedded 21 inches deep and that too as it passes along. It comes with a highly efficient and powerful 357 cc 4-cycle OHV electric start engine. This goes a long way in getting rid of large areas of snow easily, effectively and efficiently. It also has a 4 way chute and pitch control. This certainly allows the users to manage and change the direction in which the snow is being thrown. It can easily move through thick layers of snow. This is possible because of the 16 x 6.5 inch X-trac tires. The tires are designed especially to plough through thickest of snow effortlessly. Hence it is quite obvious that winter months will no longer be depressing and painful when you have this snow throwing machine available with you. The product comes with a dimension of 48.2 inches x 30.8 inches x 32.4 inches and weighs 283 pounds. The 4 cycle overhead engine with 4-cycle OHV comes with a motor which can generate 357 cc of raw power. It also has the unique Vortex 2890 which helps to generate the best of Touch and Turn Power. It also comes with 2 year limited warranty for the machine as a whole apart from 4 year warranty for the gearbox. It has quite a few advantages and benefits. One of the most obvious advantages is the fact that it covers a reasonably wide area and also a decent depth when it comes to cleaning and removing snow. Therefore in one stroke it is possible to get rid of snow by almost 95% using this device. The tires are also specially designed to afford stability and balance even when the surface and ground below is wet and slippery. It also can run continuously for 3 hours and therefore is very efficient and productive. There have been a few instances where the snow thrower started smoking and came to an abrupt stop especially when the snow turned into thick sheets of ice. On the whole, there are reasons to believe that it is a good buy and could offer the best value for money to its customers. A snow thrower means to a single stage snow elimination device which picks up the snow in single motion and throw it out. The word single state explains the truth that the snow is removed in one single action. A snow blower means to a two stage snow elimination device. The auger scoops up and feeds the snow to the impeller that blows the snow. The blower portion appears relevant since the impeller works like a fan. This type of snow blower is lighter and easier to operate than two stage versions. The single stage blowers are effective for clearing mid size places with a snowfall of eight inches. An auger guides the snow by a discharge chute. Even though the wheels are not driven on engine motion, the auger touches the surface offering restricted forward drive force. The auger does not do contact with the area, single stage snow blowers are effective for utilization on paved areas where they do not pick up gravel or rocks. These types of snow blowers are gas models have the capacity of dealing snow falls in extra of eight inches. They are strong blowers and best for clearing big areas and possess engine driven wheels to handle uneven surfaces and decrease operator tiredness. An auger gathers the snow and an impeller fan, discharges the snow by a chute. The two stage procedure moves snow rapidly and farther. Skid shoes on this model increase the auger hence you can avail it on an unpaved areas. You can also see a higher range of features on these types of blowers. These types of snow blowers are gas versions have the capacity of dealing more snow in smaller amount of time. Operationally same to the two stage snow blower, the three stage models has an accelerator which moves ten times faster than the augers to remove heavy snow fast than a two stage snow blowers. Electric snow blower does not depend on gasoline for power. But they avail a six to twelve amp cord that you can plug in to normal wall outlet about 150 feet away. These types are manuverable in tight areas however you should often be careful of the cord due to the reason accidentally cutting by it can be a safety risk. All electric blowers are considered as single stage devices. This shows there is one auger for scooping and throwing snow. These blowers generally throw snow twenty to thirty feet away. They can clear ways twelve to twenty inches wide and move two hundred to nine hundred pounds of snow for one minute. These machines feature an electric start; hence there are no cords to pull. The power arrives in packages which is easy to store. Electric can be durable like gas power, so several electric devices are available with two year warranties in the market. These types are known as cordless electric snow blowers that are battery operated. Since these blowers are powered by battery, hence there is no requirement for an extension cord and this model does not want to be prepped like a gas powered blower. You would be amazed that these battery powered versions are so powerful. They can operate simply as efficiently, they are very quieter. They take up less area to store them, leaving you lot of space in the garage. The only negative point about the battery powered snow blower is that they battery want to be recharged on regular basis. The time period of the battery will last will be based up on quantity of snow you are attempting to clear, the area you are clear and the battery size. The corded electric snow blower can clear a way of twenty inches fast and effectively. It can also operate by ten inch deep snow blankets. There is a safety cord lock included in the device. The model is also very light weight with a touch button to start the machine. This makes sure that the device can be availed by the people without any fear. It is a famous choice among people because it has an adjustable handle. The rubber grip also offers a safe, easy and comfortable experience. Gas snow blowers are very famous among people because of the fact that they are very easy to use. There are number of gas snow blowers available in the market now. Two stroke engines need you to combine the oil with the gas in right quantities and most of the people prefer to eye ball it. They are so noisy and exhaust gases smells very hard. Four stroke engines has not this problems. Four strokes also called as four cycle engines contain a individual compartment for oil, therefore you do not want to measure certain things out like a scientist. New snow blowers are available only with four stroke engines. The two stroke engines you will see are the old machines If you are tired of combining oil and sniffing fumes, then it is good to look for four stroke model gas snow blower. There are certain things you have to check while buying the snow blower. How much snow do I want to clear? For small amount like eight inches, single stage devices are sufficient. For heavy, choose two stage units. How big a place do I want to clear? For smaller pathways single stage, for more sixty feet driveways, select two or three stage device. What type of snow do I want to clear? For light snow, single stage units, for wet snow, two stage unit and for a heavy and wet snow, use three stage units.